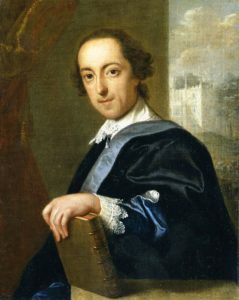 Born in 1717, Horace Walpole was a pivotal figure in 18th Century society, literature, art and architecture. 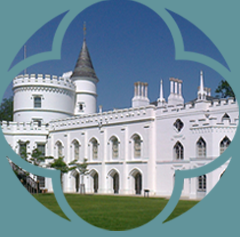 The third son of Sir Robert Walpole, Britain’s first Prime Minister, Horace was author of ‘The Castle of Otranto’, the world’s first Gothic novel, and founder of Strawberry Hill House and its vast collection of treasures. Educated at Eton College and King’s College, Cambridge, Horace Walpole was a man of many talents with a large network of influential friends. Following his departure from education, Walpole’s father secured him three sinecure positions that afforded him income to support himself and his more creative and social endeavours. 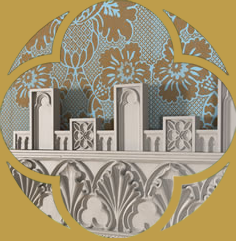 From 1739-41, Walpole embarked on a Grand Tour and European influences can be seen in Strawberry Hill House’s design. Over his lifetime Walpole was an avid writer, leaving many works including some 7,000 letters and an account of his collection in ‘A Description of the Villa of Horace Walpole’. Inspired by a nightmare he experienced at Strawberry Hill House, Walpole’s seminal work, ‘The Castle of Otranto’, was printed on his private printing press in the grounds, the first in the country.